Picture the scene. You’re lazing on a sun lounger along Belcekiz Beach in Ölüdeniz. It’s the height of summer with temperatures heading towards 100 degrees and the sun’s intense heat reflects off the pebbles on the beach. Perspiration and spray from the crashing waves leaves your lips dry and salty. Time to heave yourself from your sun lounger, drag your body up the beach and find a shaded bar where you can order a large, refreshing Efes Pilsen – served in a frozen glass. Well, at least that’s what we do anyway. Every summer, we make pathetic attempts at lying in the sun with our friends and we last about 20 minutes. It’s hot and it’s boring. So, if you’re like us and find yourself on a scorching beach in Turkey and it all just gets a bit too much, go and treat yourself to a thirst quenching, frozen glass of Turkey’s most famous beer; Efes Pilsen. Okay, after the first couple of sips, the glass is no longer frozen and it looks like any other glass of beer but you’ve got to admit, for that first minute or so while the beer froths in the ice, it looks like the beer of your dreams. I love Efes…you have to see/try their dark beer too! Twenty minutes in the sun is about all I can take too. Never tried that beer- and admit to preferring a lime in my beer – Mexican style. @ Peter: Some of our friends prefer the Efes Dark because it’s not as gassy. @ [email protected] Lovely isn’t it. That 1st glass at the bar after arriving at the hotel is sheer heaven but every Efes after leaves me craving for a proper pint of real ale. yum! perfect for a HOT summer day! @ Anonymous: Yep,we have a lot of friends who end up craving a pint of bitter. I was always a lager drinker anyway so I don’t miss the ales. Just love a cold efes in Turkey!!! ah, the good ol’ days…laying on the beach in TR with an Efes in hand. All of your posts make me miss Turkey 58490584309 times more!! Ah, bring back memories. I would have to give the lying in the sun part a go though. Great post for a hot summer day, at least where I live! @ Evan: Yeah, you can’t beat an ice-cold beer in the sun, can you? Efes is to blame for all the pounds I am piling on my hips!! Great photo. Surely this post is a tease! 😉 Would love to clink glasses with you both one day! Nothing like a pint of beer to get people talking. 24 posts thats a record!! @ Deniz: Good, good. 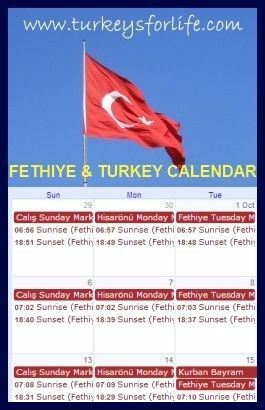 When are you coming to Turkey? Where are you staying?